It is with mixed emotions we realise that the part of the symbolic Kyoto â€“ Copenhagen journey taking place on the Trans-Siberian Railways is moving to an end. In addition to experiencing one of the most fabulous railway journeys in the world, we have enjoyed the best hospitality we could imagine. We would like to give our warmest thanks to the staff onboard, our Russian colleagues in our team and all the colleagues and representatives from the Russian Railways who have hosted our excursions and stays outside the train itself, all contributing to making it a life time experience for us â€“ the lucky travellers. We have had so many reasons to thank our many hosts along the journey on the Trans-Siberian Railways and we want to thank you all again here. And we apologise for not mentioning you by name. So much of your help was beyond the call of duty. In Vladivostok Margrethe was helped to buy a guitar â€“ a wonderful addition to the journey. In Baikal we were boiled in a banya. In Irkutsk journalists briefed us as well as us briefing them. In Novosibirsk RZD was considerate enough to make room in a tight schedule to meet a little girl called Ludmilla, winner of an international UNEP drawing contest. In Novosibirsk, Yekaterinburg, and in Nizhny Novgorod we were given a fascinating insight into the behind the scenes work that makes the railways here run so smoothly. 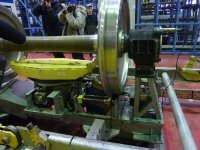 Rail making, systematic environmental management, coach cleaning, wheel assembly, and waste management through closed loop systems all demonstrated RZDâ€™s professionalism. All along the way people has shown us the best courtesy and hospitality, values we have seen them systematically practise in their environmental work. We hope we have been able to share some of our experiences with you, and more will follow in the days to come. 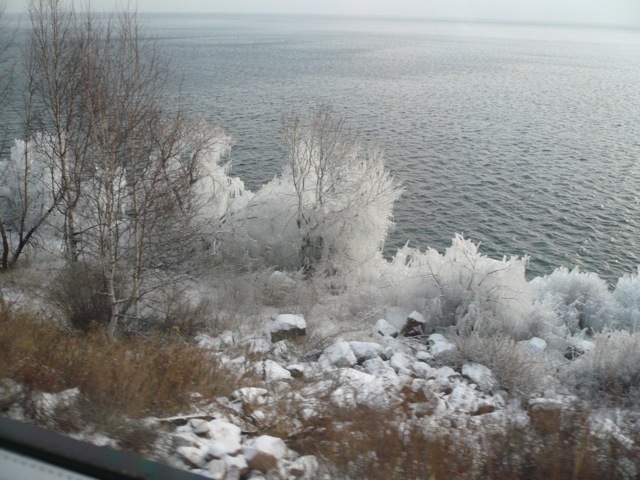 We are truly honored and proud to have used the Trans-Siberian Railways to promote rail as a part of the solution for the climate change challenge we all face. We will be thinking of everyone from RZD as we continue this journey to COP 15 and Copenhagen. pÃ¥ denne togturen, jeg har lÃ¦rt en masse. tusen takk. god tur den siste del av veien til copenhagen.